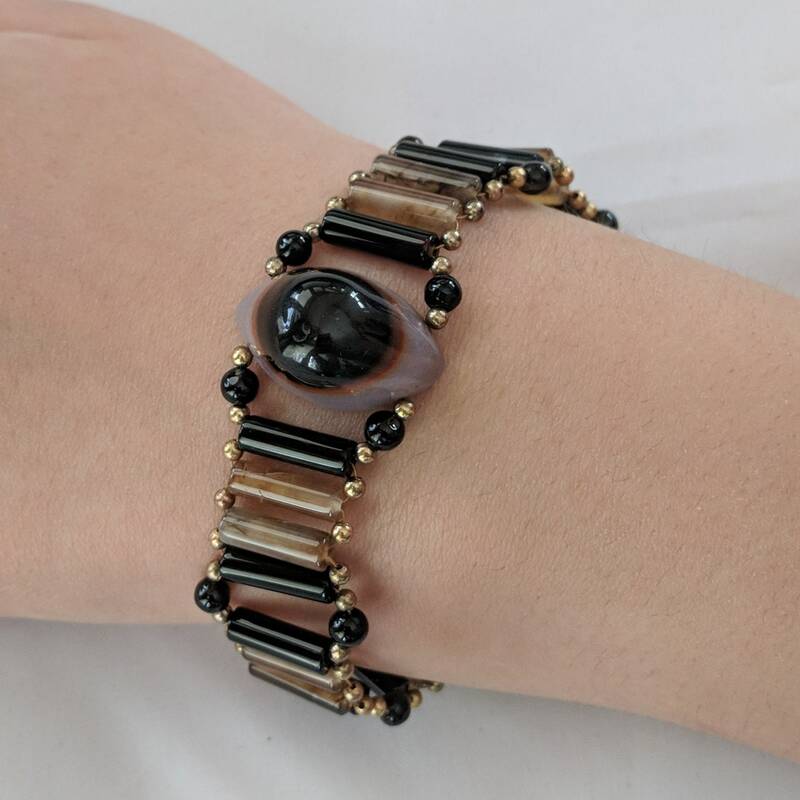 This Evil Eye Bracelet is woven in the ladder style with agate tube beads, agate round beads and gold spacer beads to fill the gaps. 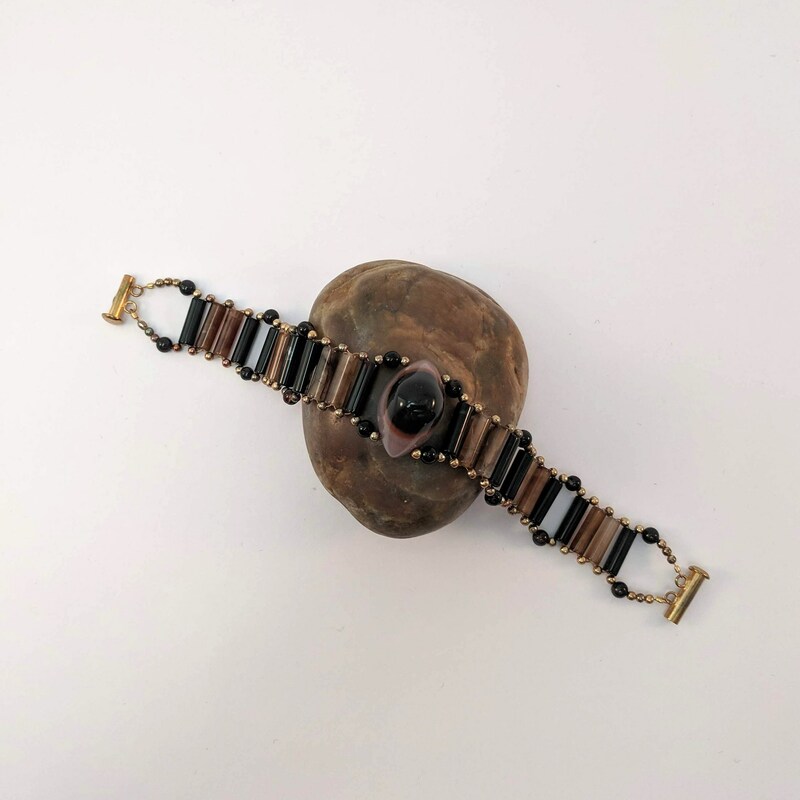 There is a banded agate stone as the centerpiece which as been carved to reveal the bands in an "eye" shape. It has a tube slide closure. The ladder weave was popular among the Egyptians and there are many examples in museums around the world. 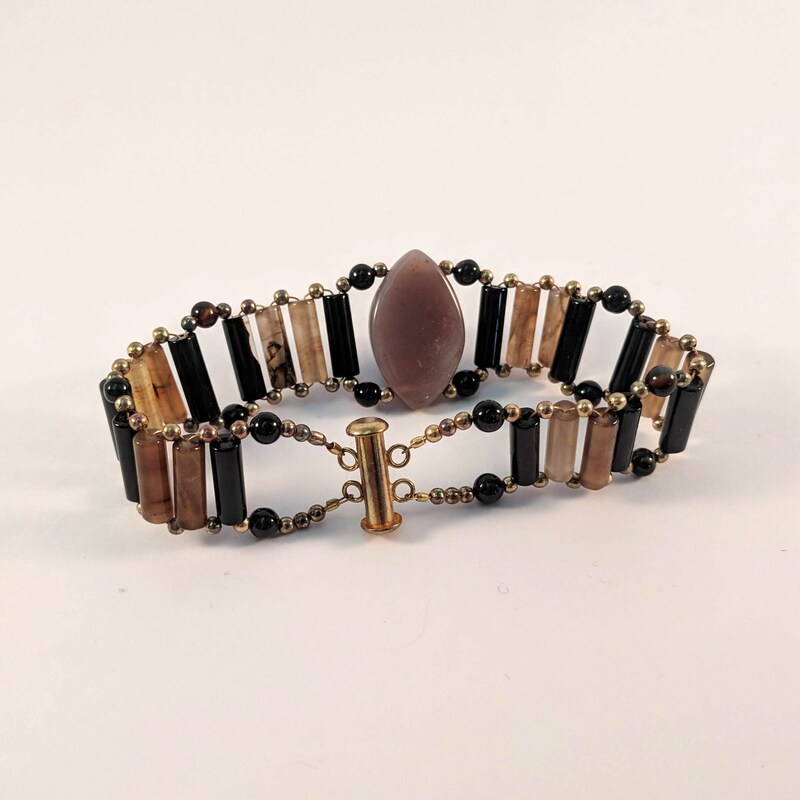 This handmade bracelet was Inspired by a lapis lazuli and turquoise necklace found in the tomb of Princess Khnumet, Daughter of King Amenemhet II (1853 - 1806 BCE), a pharaoh of the 12th Dynasty. Unique! One of a Kind! 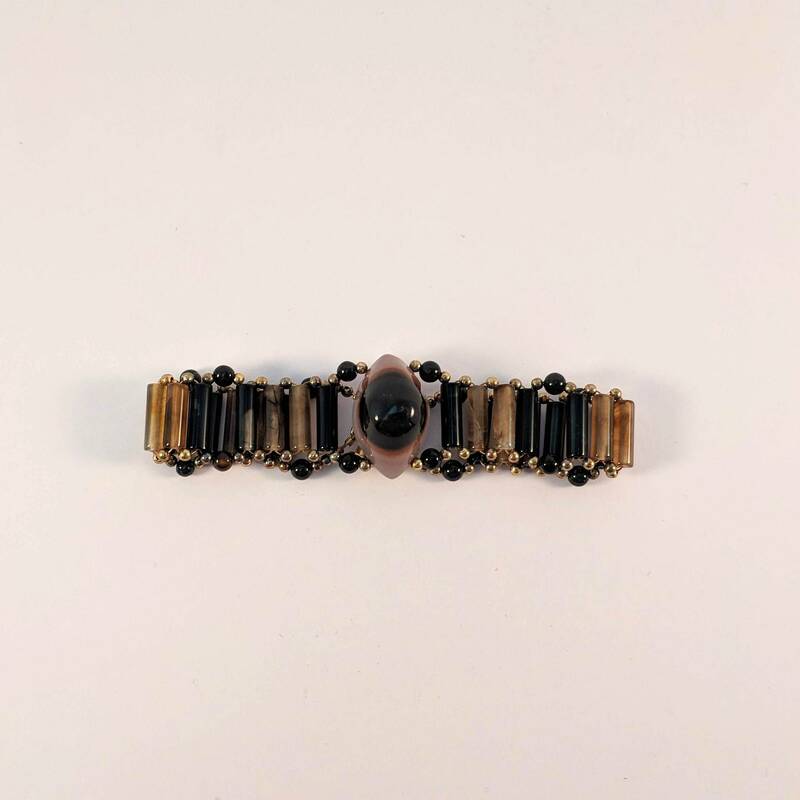 This is a vintage piece with some discoloration on the metal beads. We think this adds to the ancient look; however, you can try to polish the tiny beads, if you wish. We are selling it "as is" to help clear out our old display stock of items that have been discontinued many years ago. We ship via USPS Priority Mail - Insured for safety and so that you will receive your order in 2-3 days once the package is posted, plus you can track it on-line. AGATE - Agate properties connect with the energy of the Earth. They are thought to bring harmony to all aspects of the being, physical, spiritual and emotional. Use for self control, grounding, resilience, quiet power, grounding, invisibility, peace and anxiety. EVIL EYE: Dating back to the 3rd millennium B.C., many ancient cultures developed strong respect for the penetrative and mysterious powers of the eye. There was widespread belief that eye contact with certain beings or deities could result in illness, misfortune, and even death. 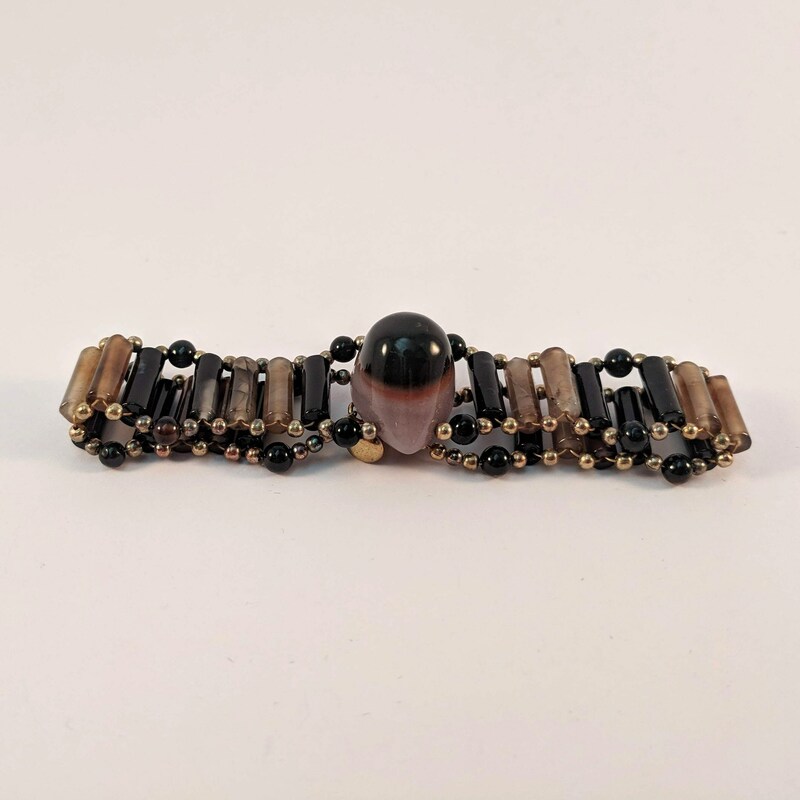 In response, ancient artisans carved protective eye beads, such as this one, meant to look back at the evil eye, and to counteract its deadly deeds. 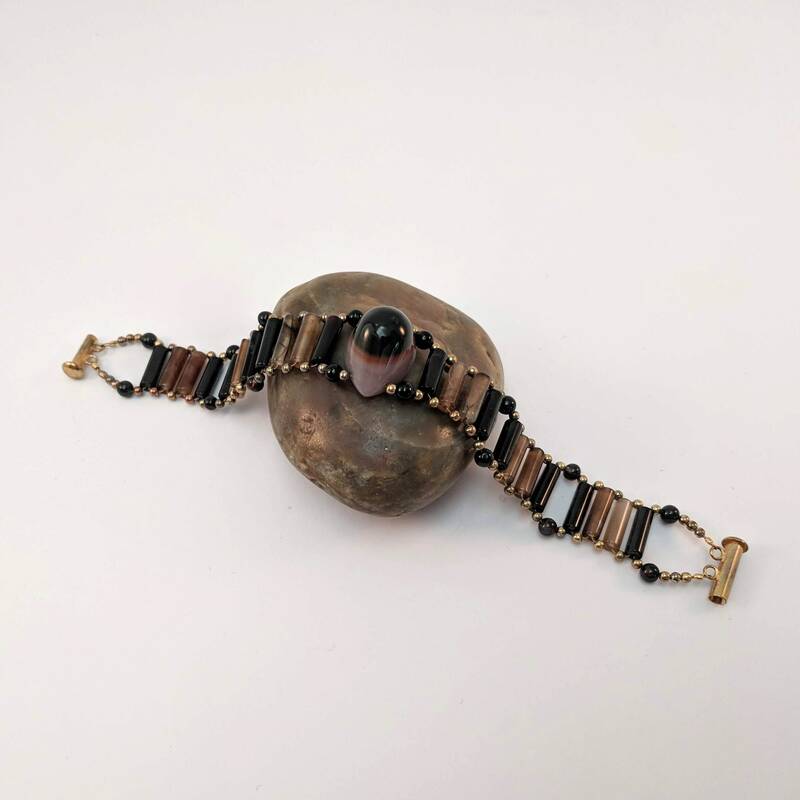 In ancient Sumer, stones such as onyx, chalcedony, and banded agate were cut and polished into eye beads, which were then worn as amulets by kings and servants alike. 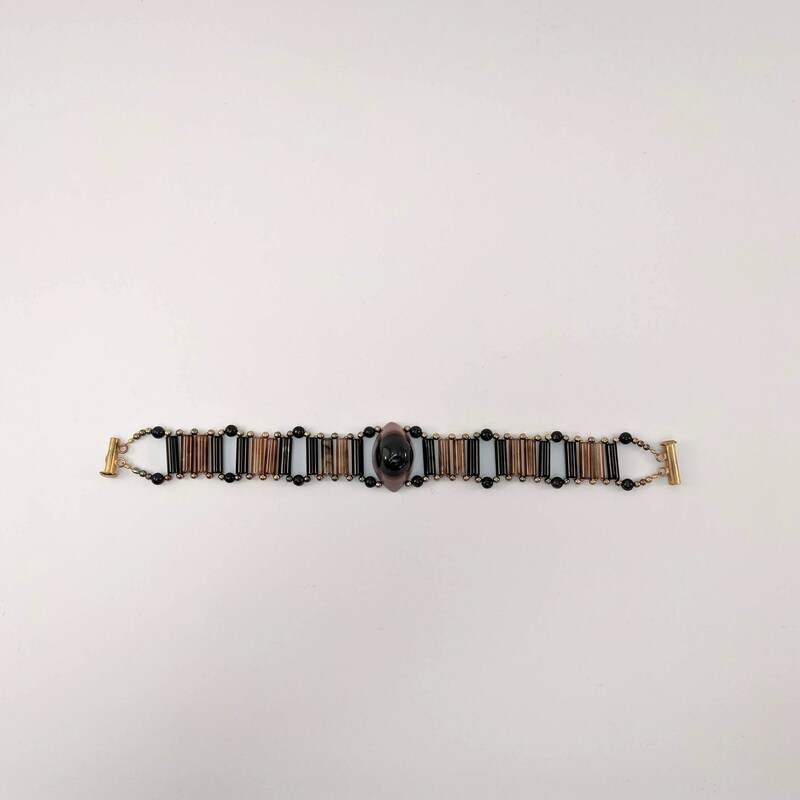 ANCIENT ECHOES: This line of jewelry is designed at our facilities and inspired by extant pieces from lost civilizations found in private collections or museums around the world. These ancient symbols, also evident in carvings and paintings in tombs, temples and other archeological sites, enable us to create unique pieces that resonate with the energy and beauty of centuries past. Each piece is individually handcrafted to honor our ancestors and the sacred cultures they left behind. 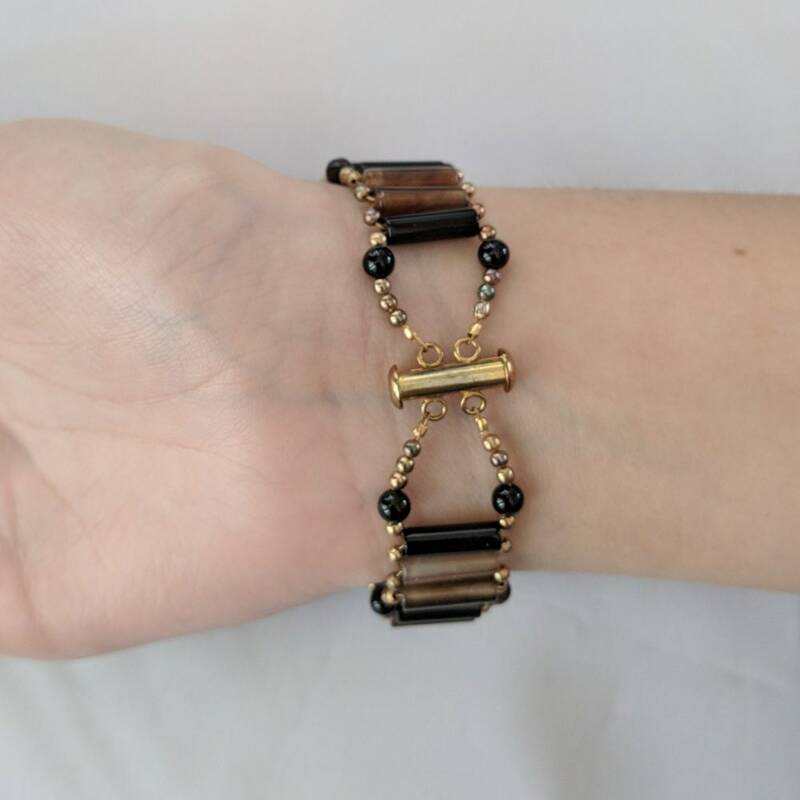 EGYPTIANS: This collection begins with the ancient Egyptian Dynasties starting with the First Dynasty's Abydos Bracelets and ending with the reign of Cleopatra after Alexander the Great had conquered Egypt. We have added Victorian to the time period because there was an Egyptian Revival during the 19th century when tombs were discovered in Egypt.